At some point, we as humans are bound to get sick at one point of our lives. Maybe we aren’t the one who is ill. Maybe it would be a sibling or a relative or someone important in our lives, and in those cases we need to be able to reach them immediately if the circumstances are more serious. In most cases, you would need to submit a medical form so as to be able to be permitted to go immediately to our loved ones. 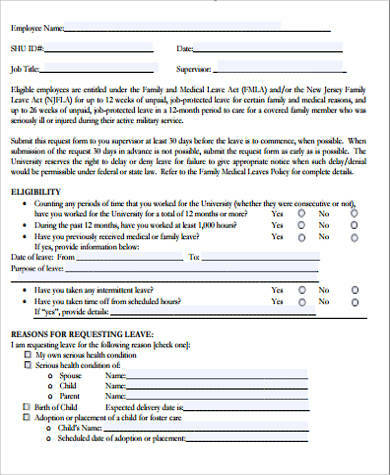 Luckily, a medical leave act form is just another Sample Form that is available here. 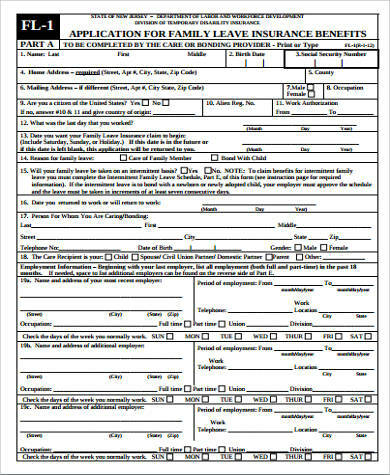 This type of form is needed in the case that a direct family member of yours was reported to have a medical problem while you are at work. 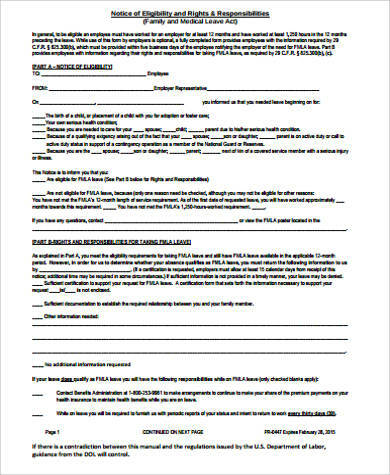 Just simply fill out the form with the necessary information then submit it to the officer in charge then rush to the hospital or medical clinic that has your sick family member. 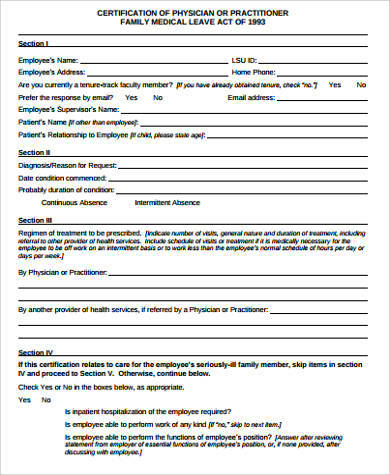 This type of form is similar to Medical Leave Forms in terms of asking for permission to leave the work area due to a medical emergency. However, as soon as the sick family member has recovered, the employee is required to submit a Return to Work Medical Form in response to being unable to attend work on the days he or she was absent. 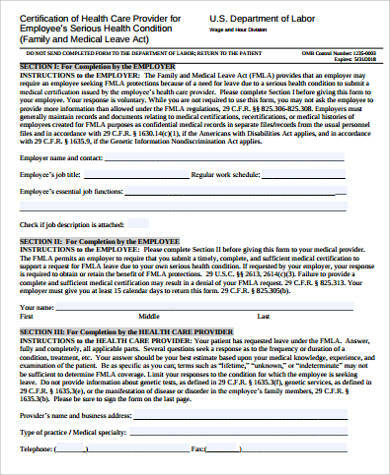 Is the request to authorize the medical leave of a certain family member from the company by a family member of the employee outside of the company due to either the employee’s inability to submit it personally or is incapacitated. 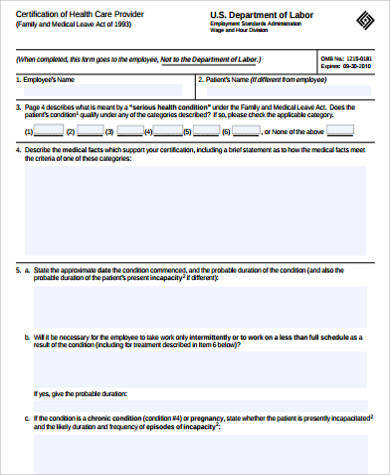 Similar in function to the Family Medical Leave Act Request Form but rather is the application or processing of the medical leave form. 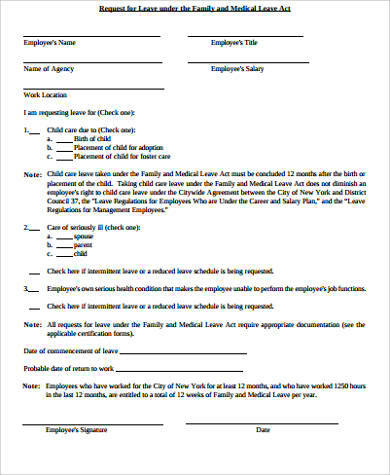 This type of form is to certify that there was indeed a medical emergency regarding a direct family member of the employee that calls for the employee’s immediate and sudden absence from work that day. 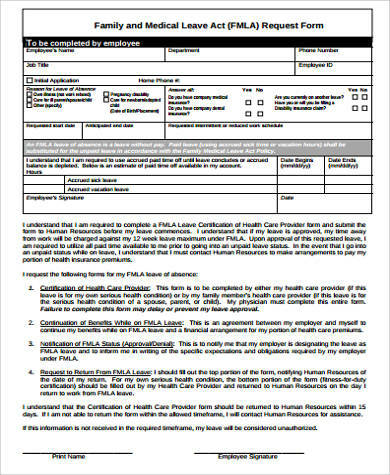 This form is similar to the Family Medical Leave Act Certification Form in terms of function but has the added benefit of being confirmed by the physician who is taking care of the family member of the employee. 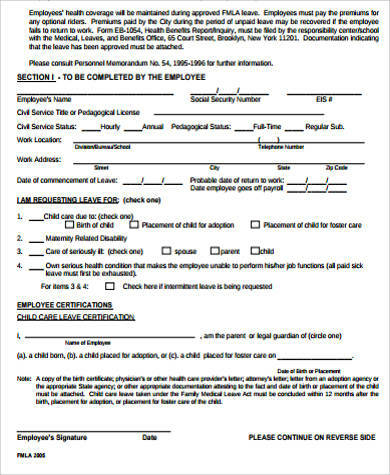 The importance of medical leave forms are without a doubt necessary to the continuous existence as a species. As humans, we are very protective and cautious when it comes to the health of our loved ones and usually will take great risks to ensure their safety. That is why we need FMLA Forms to minimize the damage that would be caused if one were to go AWOL just to be with a family member when they are ill.